Diabetes mellitus results from autoimmune ablation of pancreatic insulin-producing islet βcells (type 1 diabetes; T1D) or their damage due to resistance to insulin by peripheral tissues (type 2 diabetes; T2D). Administration of exogenous insulin, which is vital for all T1D and >30% of T2D patients, and current pharmacological interventions for T2D are linked to suboptimal regulation of blood glucose (BG). Moreover, these do not curb the long-term complications of the disease. Given the scarcity of donor organs suitable for transplantation, therapeutic avenues based on cellular engineering to replace damaged islet cells are highly desirable. Toward this goal, our efforts are directed along two parallel strategies: (i) the utilization of optogenetics to increase glucose-stimulated insulin secretion (GSIS) by β-cells, and (ii) the development of bioprocesses for the generation of insulin-producing cells from human pluripotent stem cells (hPSCs). The first approach entails the introduction of a photoactivatable adenylyl cyclase (PAC) to βcells allowing for the modulation via light of cyclic AMP, which mediates GSIS. PACexpressing β-cells respond to physiological levels of glucose by releasing hormone at a 2- to 3-fold higher rate with photostimulation, even over successive rounds of activation and without adverse effects on cell viability and function. Diabetic mice receiving engineered βcells exhibit improved glucose tolerance. Insulin-secreting cells amenable to optogenetic control of their GSIS are ideal candidates for use in bioartificial pancreas devices, which are typically beset by the significant oxygen and nutrient demands posed by the large number of β-cells required to reconstitute BG homeostasis. In parallel, emphasis is placed on the cultivation of hPSCs in scalable stirred-suspension vessels as a way of producing clinically relevant quantities of cellular therapeutics. Expansion of hPSCs with preservation of their pluripotency is followed by guidance of hPSC fate to a βcell phenotype through directed differentiation. Under appropriate conditions, cultured hPSCs remain pluripotent growing to peak densities over 107 hPSCs/ml after 7-10 days. Upon differentiation over 80% of the cells express definitive endoderm genes/proteins in 3-4 days while markers of advanced pancreatic progenitors and β-cells are detected in subsequent stages. Progress in bioprocess development, in conjunction with advances in optogenetic tools, will permit harnessing the potential of hPSCs for cellular therapies against diabetes and other maladies which are currently considered incurable. Emmanuel (Manolis) Tzanakakis is a Professor of Chemical and Biological Engineering at Tufts University. He is also a faculty member of the Clinical and Translational Science Institute of the Tufts Medical Center. 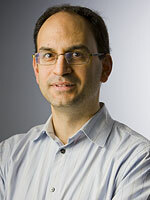 Professor Tzanakakis earned his PhD in Chemical Engineering from the University of Minnesota (UMN). He received post-doctoral training at the UMN Stem Cell Institute and subsequently at the Diabetes Center of the University of California-San Francisco. Research in the Tzanakakis group focuses on stem cell engineering and bioprocessing with emphasis on the development of cellular therapies for diabetes. The laboratory also works on optogenetic approaches for engineering pancreatic tissue equivalents and has a long-standing interest in the expression and function of regenerating (Reg) proteins in normal and disease states of the pancreas. Professor Tzanakakis has supervised more than 25 MS and PhD graduate students and postdoctoral fellows. He has co-authored over fifty-five peer-reviewed articles and book chapters. He is the recipient of the James D. Watson Investigator Award and of fellowships from the National Institutes of Health and the Juvenile Diabetes Research Foundation. His research has been funded by the National Science Foundation, National Institutes of Health, New York State Stem Cell Science agency and the US Department of Defense.